Hi! I'm Courtney. I read (mostly) good books and write cool reviews. I appreciate you checking out the page, and I hope you find a new book to read. Please feel free to comment on any of these posts. Let me know if you have read any of these books or if you plan to! This book is the sequel to A Boy Named Ray. My review of that one is HERE. Theo, Mary, and Ray are back for this one. There is a new addition to their family, though. Theo and Mary have a daughter named Haley. She is just as perfect and gifted as Ray. She shares his abilities of being able to talk to nature except she connects more with plants and animals, and Ray with natural forces such as wind and water. This is just a nice feel good story. It is in the realm of science fiction, so some of the reactions and story lines are not realistic, but it isn’t meant to be. What I found to be pretty interesting with this book was that every chapter told a different story, but it all came together to tell one big story. It was fun to put together. For being so short, each character was well developed. This may be due to the fact that we were introduced to Theo, Mary & Ray in the first book, but nonetheless, I did not feel disappointed with any of the character developments. It was done very well. The story was also well rounded. It completed the story circle beginning in the first book. Theo and his family are able to return to the town that they were run out of for being ugly. 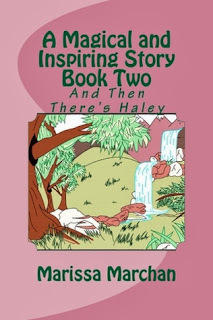 When Theo and Haley return after hearing that the once beautiful town has gone to ruin, they help restore the town with the help of Haley and Ray’s unique gifts. The family is accepted back into the town, and everyone is happy again. While unrealistic at times, the real story these two books are telling is that doing a simple nice deed for someone can go a long way in the end. That is a lesson I feel people need to be reminded of more often. These books do a good job of conveying these messages through fun and interesting mini story lines within one complete story. 3.5/5 stars. I really enjoyed it, but there needs to be some editing due to some grammar mistakes and wrong pronouns. Sign Changes by Bart Hopkins Jr.
Playtime by Bart Hopkins Jr.